March is National Reading Month. Reading has always been a joy for me and I love being able to share it with my kids now. We have many physical books and use our library often, but we are in a new era of technology. As much as I love the feel of a “real” book in my hands, I know that my kids love to use the technology and E-readers are able to hold a lot more books than any bag I can carry! Amazon is having a special for the month of March. Their Kindle E-reader is $20 off! For only $59 (at the time of this posting) you are able to get a great E-reader that is lighter than a paperweight and has a screen that looks like a real page from a book. Speaking of books…there are so many e-books available now! And Kindle Unlimited lets you borrow from over 700,000 of those books! With that many books, you will never run out of options! I want to share some of our favorite books with you. Although Moe Man is 14 now, he still really enjoys the Diary of a Wimpy Kid Collection. He has read every one of them more than once. However, I made him find a book that was more at his reading level and he decided to start reading Heaven is for Real: A Little Boy's Astounding Story of His Trip to Heaven and Back . He is really loving this book and keeps telling me I have to read it after him. After his finishes that one, he is planning on reading Lincoln: How Abraham Lincoln Ended Slavery in America: A Companion Book for Young Readers to the Steven Spielberg Film (How Abraham Lincoln Ended Salvery in America) while watching the film. Ray Ray is my Minecraft child. Any book that has to do with Minecraft, he is all about. We have read The Quest for the Diamond Sword: An Unofficial Gamers Adventure, Book One , which was an awesome easy read before bed! We are starting book two in this series, which is The Mystery of the Griefers Mark: An Unofficial Gamers Adventure, Book Two . These books are wonderful for his imagination and give him something to build in Minecraft…since he is remaking the story. Little Miss…well what book doesn’t she like?! She is my puppy girl and any book, like National Geographic Little Kids Look and Learn: Dogs (Look & Learn) , are the ones she grabs from the library. However, she really enjoyed when I read aloud Mr. Popper's Penguins . And daddy made her a book when he was on the road before and she loves to listen to him read it to her, even when he isn’t home. The Counting Kisses: A Kiss & Read Book book we have is one of those where daddy recorded himself reading it. We really love these kinds and being able to have daddy read a book even when he isn’t home to read it! My favorite books that I am reading right now are the NIV Once-A-Day Bible for Women for Women. This is perfect for my personal quiet time each day. 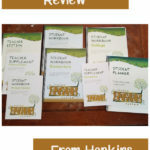 Since Moe Man will be in High School…I have been reading How to How to Homeschool 9th and 10th Grades: Simple Steps for Starting Strong (The HomeScholar's Coffee Break Book series 28) (perfect resource). And during all this mommy madness, I find some time to read In Between (A Katie Parker Production) (Volume 1) for my own personal free reading time. What books are you reading during this National Reading Month? I wasn't aware of the National Reading Month (plus I'm in a different country, I think), but I love books and I read all the time. It's interesting to see how my children are all different when it comes to books. Even though I've read to them since they were babies, my oldest one only really warmed up to books when he became a fluent reader, my middle has wanted nothing to do with them even when she was little and my 2-year-old doesn't go anywhere without packing a bunch of books to take with her. I didn't realize it was national reading month. Every month is reading month for me. 🙂 Years ago I fought the urge to get an e-reader. These days, I haven't read a "real" book in ages. I like the convenience of having all my books in one place. I've never had an e-reader (certain I would break it!) but perhaps I should – I've got so many books taking up all the space, and I can't bear to get rid of any more! You're reading list sounds great – I'm reading the travel book 'Dark Star Safari', as well continuing my Biblie-in-a-year. Hooray for reading! I read so much at work that reading is the last thing on my agenda when home. When I do read, I like self-help type books. Those are all great reading selections. I love my Kindle but still prefer holding a book in my hand for some reason. I have way too many books as a result! I really love the idea of Daddy recorded himself reading to your children. That is really special for them. I love to read and usually have about 4 books I am reading at once. I will read a chapter from each throughout the week. It keeps it interesting that way. I have been reading a book with my 9 year old that was listed on the Common Sense Media list–I am Malala, young readers's edition. I am so glad we are sharing the read, and so glad I picked it up on the CSM recommendation. I would have thought it was no appropriate for someone her age, but in fact, it's ideal. In this case, we got the hardcover book, and I am glad, but I do like to read on the kindle more than I had first thought I would. 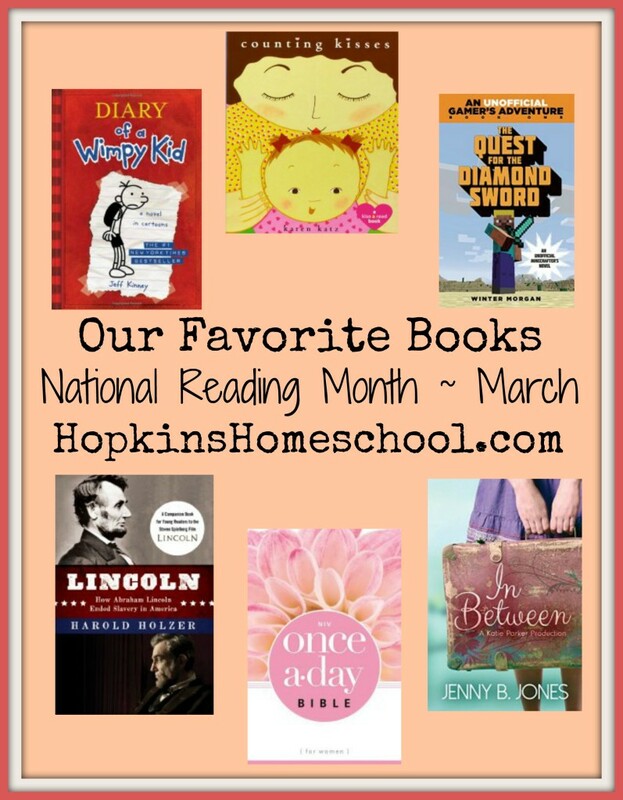 I did not realize March was national reading month or if I did I forgot! I love how you can find so many free ebooks for the kindle!! I have one that I used but not tons but the battery seems to no longer hold but use my ipad mini now. That is a great deal though for the kindle and you can get so many books for it! Since getting a Kindle, I've found it harder and harder to choose books. There are so many of them and I enjoy supporting other indie authors, so I'm constantly bombarded with titles. Thank you for the suggestions. I am really behind on my reading right now because of several projects I am working on, so the books are really piling up. Well, they're piling up figuratively since they are all on my iPad. As soon as life gets back to normal (? ), I have some serious catching up to do! I didn't know that it was National Reading Month. Right now I am reading If I Stay hoping to get to the second book, Where She Went. I didn't know it was reading month but I love to read! I'm reading No Drama Discipline right now it's a book by two doctor's who study brain functioning. They explain how to discipline your children so that their higher brain functions are activated and they are able to remember the lessons you teach them even in your absence. We also love reading books. I fear we buy more than we read. 🙂 I need to start going to the library. I read every chance I get, usually all day long on blogs, but when away from computer I pick up the news or a magazine or something on my phone. 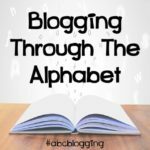 I dont have the time to read a book anymore, I used to love to read Nora Roberts books, I got hooked, but now Im hooked on blogging!! Maybe someday it will be books again. Reading is magical! I've loved to read a good book as far back as I can remember. 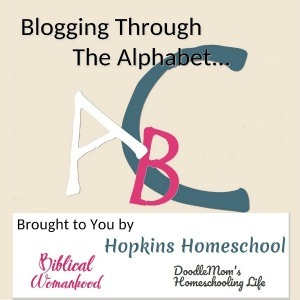 Being a retired homeschool mom, I always tried to instill a love of reading in my children. We did a lot of reading out loud and the library was a trusted friend. I never liked the idea of reading electronic books, but then I tried one. Although I do not like e-books as much as a "real" book, they are so convenient. There's less clutter without so many new books to have to shelf and there are so many free books we can borrow from our library without even leaving our home. I do still like to hold a book with paper pages, though. At this time, I'm doing most of my reading on time; however, I do have a book in my purse that I take along and read when I have to wait around. The book is called Tortured for Christ by Rev. Richard Wurbrand. It documents his captivity and torture for being a Christian. Good luck on your homeschooling endeavors and keep on reading. 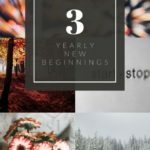 Loved all the tips in this post. Especially the part about the cheap Kindle. I tend to be on Facebook more than I read, but I really do like to read. Currently, I'm trying to get into the Divergent series. Natioanl Reading Month was my favorite when I was a teacher. I loved teaching children how to read and passing my love of books on to them. With my own children, we have been reading a lot of Dr. Seuss lately. 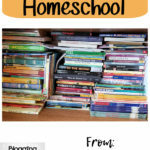 Great list of books! I don't have a Kindle, but I do use the Kindle app on my phone. It makes it so convenient to read here and there when I have extra moments. Right now I'm reading Hidden Treasures by Leslie Householder and The Big Leap by Gay Hendricks. My two oldest children have e-readers and they love them. My youngest will get one when she is a bit older. They are great for car trips and travelling, and you can borrow from your local library even if you are in a different part of the country, which is very convenient. The most recent book I've read (though on an e-reader) is Instructions for a Heatwave. by Maggie O'Farrell. A really good read about family relations and all the complications. I do also love a book in my hands but find myself wanting to minimalize and get rid of clutter so Bye Bye books and hello Kindle! How did I not know it was National Reading Month?! I'm currently reading Dale Carnegie's How to win friends and influence people. It's been on my reading list for years and I finally got it and am really liking it! Books we love them as a family and if you don't have a book 'on the go' you are crazy!! It's a way to escape, a way to learn; and both as real books and ebooks that knowledge broadens your world in lots of directions. You learn about the world, about nature, about geography, people's lives, and then escape into a dozen other worlds from the imagination of someone else. However you read whatever you use – reading is miraculous! This is a great post! Happy National Reading Month! Right now, I am reading a book about introverts called The Quiet, and a star trek book, and a memoir of the son of an immigrant. I love that reading in your family is truly a family activity–that there are books for all! Thanks for the information. I didn't realize that it was National Reading Month. I have some reading to do. I still haven't crossed over to the electronic reading devices. I still love a book that I can turn the pages and either fold in a corner of a page or stuff my favorite homemade by my kids book marks inside just to save my spot. Your kids are great readers. Eventually they can be writers too sharing their imagination and dreams in life. I am currently reading A Better Life by Shawn Anderson. You can check it at Amazon as well. It's a great book of inspiration. Have a nice day! I am a preschool educator and a mother of 4. My oldest, 19 reads military books, he has loved those since he could start reading. My 17 year old is mostly reading facebook and texts. When she was younger she wouldn't put books down for anything. I know in time she will get back into reading. My 13 year old also loves the Diary of a Whimpy Kid books. They are so funny and easy to read. My 3 year old loves all kinds of books. She loves the library. I hope it continues. Since this is Read Across America month and Dr Suess B-day we have been reading lots of Dr Suess books at preschool. There are so many different books to give the kids many different funny stories. I tell my boyfriend all the time that the best gift he gave me was my Kindle. I used it daily for nearly 3 years before it died on me and Amazon sent me a new one. I love it. Considering my advanced years, I like to think I fully embrace technology on most all levels. I blog, I have a pretty fair Klout score, and I work a mean iphone app. BUT, I just can't make the crossover to ebooks. You make salient points, of course. Since I am running out of room in my library, perhaps now is finally the time to grow up! I notice my kids prefer hard back books to e books but the ebooks are such a good deal (sometimes free!) We also hit the library pretty hard. Even my three year old likes to "read" the Minecraft books! I tend to read a lot of cookbooks, so have the actual book in hand is a must for me. I do have a few books on my ipad I have to get to soon! My 9-year-old has just started reading Diary of a Wimpy Kid. Think he's finished two of them now, and he really loves them. I'll be considering an e-book for his next birthday. I won a Kindle Paperwhite a couple years ago and love it! I have a ton of books on it and also on my Cloud waiting to be read. I'm currently reading a fun mystery called Murderous Muffins by Lois Lavrisa. For Nation Reading Month my kids are reading Where The Side Walk Ends. I on the other hand, am reading my 5th V.C. Andrews book this month, lol. I haven't been reading as much as usual or as much as I should. I am reading (to my baby bump and husband) Stay! Keeper's Story. I have also been reading and purusing several birth books. There are so many books that I have been meaning to read. Unfortunately, with two children ages 1 and 3, I never seem to be able to find the time! I am reading a book from Kathi Lipp about stepmothers. I am not a stepmother but everthing she writes is soo amazing and insightful and a bit of humor. I don't have a kindle, but I have read a few ebooks on my laptop. I am so used to reading stuff online, that I like it just fine. I feel that same way…I don’t always remember that I have such a wonderful selection of books when they are on the Kindle and I get upset that I forget about them! I always seem to zoom through a “real” book and the digital books seem to take twice as long! Great book suggestions, thank you for sharing. I don't have a Kindle, but my daughter does and she loves it. I love reading and I hope to find time to get back to it soon. I love the Kindle. We actually own about six of them as a family! I have all kinds from the original to Kindle Fires to Kindle HDs to the Paperwhite. 🙂 I wouldn't trade them for a thing! My older kids also still enjoy the Diary of a Wimpy Kid books. They'll pick them up and read through every so often. Thank you for linking up with Read Aloud Wednesdays!